It can be a challenge to save money on office supplies for your business. Although it’s easy to write off office supply purchases as a small item on your costs, they can significantly add up. To help combat this, we’ve written two previous blogs on saving money on office supplies. 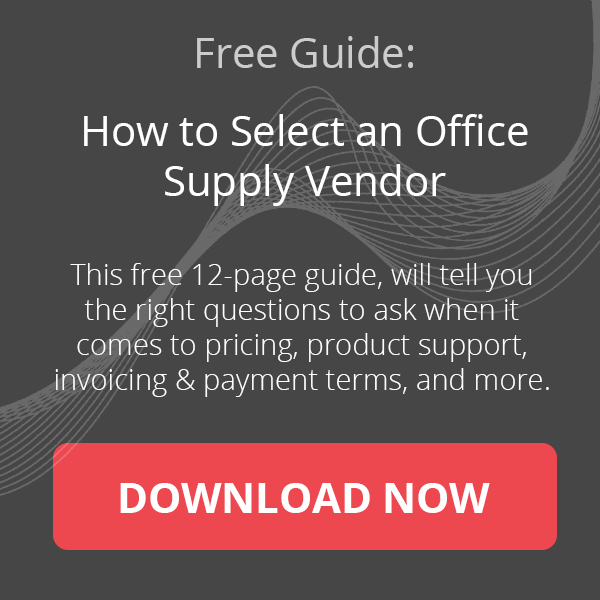 This 3rd installment includes 7 more tips on reducing your office supply costs. Buying in bulk can offer a number of benefits including avoiding impulse purchases and getting additional saving based on volumes purchased. This is not only great for internal office supplies, but you can often get discounts for buying promotional products in bulk. Other items you may consider buying in bulk can be paper and writing utensils. Remember to use caution if you decide to do this, because you will eventually need to use these office supplies, and be prepared to spend a larger amount of money at once. Keep these in mind before you make your bulk purchase. 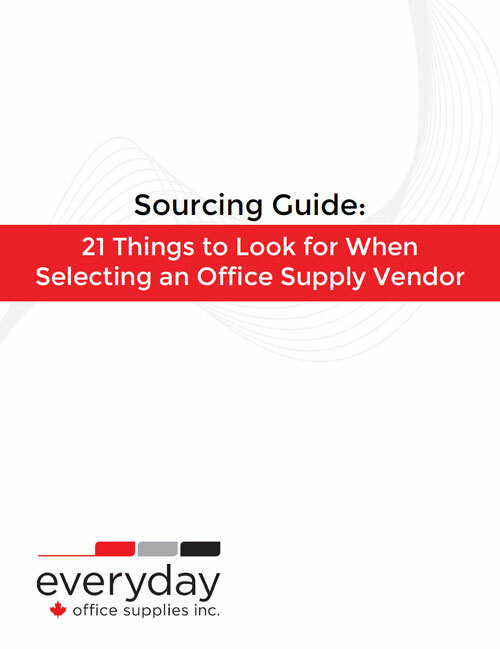 Before making your office supply purchases, take some time to determine what you really need in your office. You may want to talk to you employees to take inventory of what they already have and what they’d like to see purchased. This will ensure that when you do sit down to make your purchases, you will avoid placing orders for unnecessary supplies. Keep tabs on promotional and features products offered by your supplier. This will cut down your bottom line, if there are relevant promotion codes or discounts available. Many offers are available for a limited time, so make sure you take advantage of them in a timely manner. To find the best deals, frequent the suppliers website or sign up for their newsletter. When it comes to office supplies, newer isn’t always better. If you business is used to working with older models of office supplies, you may benefit from that decision monetarily. As new models are introduced, consider if it the newer product will really help your business. If you don’t do so already, have one person in the office responsible for purchasing office supplies. By ensuring all office supply purchases go through one person, you’ll have a gatekeeper in place. In addition, this person will have a better idea of what needs to be purchased from carrying out this duty over a period of time. 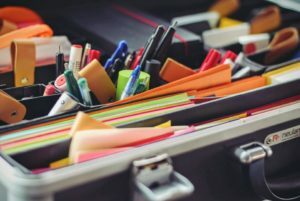 Unnecessary office supplies are often purchased because there isn’t a way to keep inventory of all the office supplies being used throughout the office. For example, employees may keep extra supplies at their desk that you may be unaware of. To avoid this, you might consider creating a supply station, and encourage your employees to return office supplies to this area when they aren’t using them. This way you’ll always have a idea of your supply inventory and can make the most appropriate purchases as needed. A last thing to consider when making your office supply purchases is to determine opportunities for overall savings. This means taking a look at your total yearly purchases to see where you could cut back. This way if you need need to make a big purchase once in a while, you know it won’t destroy your budget. Are there any tips to save money on office supplies that we’ve missed? Let us know. If you need advice or suggestions on how to get started with you office supply purchases contact us at info@shopeverday.ca or 416-656-6829.